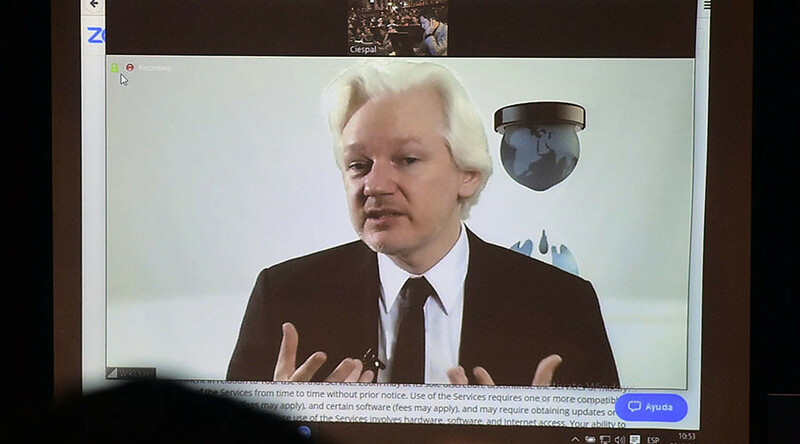 The government of Ecuador says it disconnected the internet connection used by Julian Assange after WikiLeaks "published a wealth of documents, impacting on the US election campaign." Assange, the founder of WikiLeaks, has been living in the Ecuadorian embassy in London since 2012, under granted political asylum. "The Government of Ecuador respects the principle of non-intervention in the internal affairs of other states," the official statement reads. "It does not interfere in external electoral processes, nor does it favor any particular candidate." The actions taken "temporarily restrict access to some of its private communications network within its Embassy in the United Kingdom," the Ecuadorian government stated, adding, "This temporary restriction does not prevent the WikiLeaks organization from carrying out its journalistic activities." "Ecuador's foreign policy responds to sovereign decisions alone and does not yield to pressure from other states," the statement concluded. WikiLeaks tweeted, "Ecuador admits to 'restricting' Assange communications over US election," and solicited donations to cover Assange's legal costs.